Set in a lushly landscaped yard within the West Highland Avenue Historic District is a one and one-half story Queen Anne Victorian house having a gabled roof and clapboard siding. A recessed stair leads to the entry porch veranda with slim porch supports and railing. A second story dormer originally had a recessed alcove. The façade is set off with the placement of a variety of windows with two matching oval windows. The home has a central vent with horizontal slats. The home is located on lots 16 and 17 of Block 17 of the Residence Plat of Redlands. It was built in 1897 by Davis Donald for Reverend Edgar T. and Amanda (Minnie) Scott. Scott purchased the property from J. Frederick Dutton. Rev. Scott was a noted prohibitionist and as a lecturer he traveled throughout the United States. 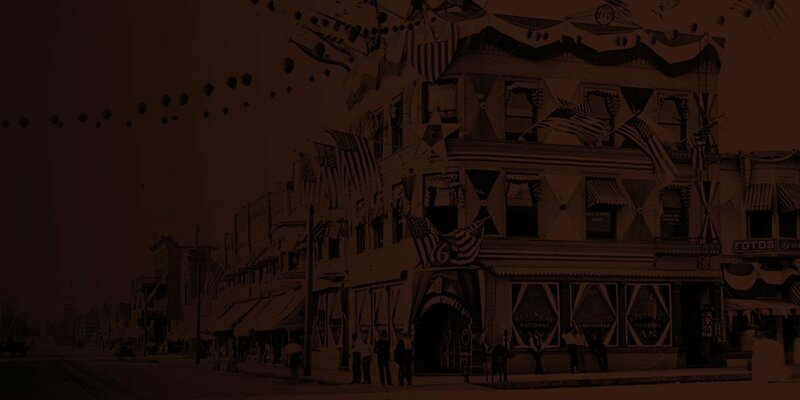 Scott’s wife helped organize the Women’s Temperance League in Redlands and politically made the saloon question an issue in local politics. Redlands had become a prohibitionist town long before the amendment to the U.S. Constitution was enacted. The Scotts lived in the home until 1917/18. The home was listed as vacant in the 1921 City Directory. By 1925 Ernest L. and Mabel Cronemeyer had taken up residence in the home which at that time had the address of 621 West Highland Avenue. Mr. Cronemeyer was notable in that he died 34 days shy of his 102nd birthday in 1980. Mr. Cronemeyer and his wife came to Redlands in 1919 due to his wife’s frail health. When he was 101 years old Mr. Cronemeyer received multiple awards as the oldest living Mason, Rotarian, Elk, Congregationalist, resident of Plymouth Village and the Fortnighly Club. The 1931 Directory lists James C. and Karolyn K. Lewis as residents. Mr. Lewis was an auditor with the State Board of Equalization and Mrs. Lewis was a music teacher and daughter of Lyman M King, state senator and editor of the Daily Facts. By 1947 the home became the residence of Edwin Bailey Cook, Jr. and his wife Janet and her parents Robert N. and Enda Dow. Mr. Cook was an assistant sales manager of Mutual Orange District and a brother to Mrs. Frank Moore, Mrs. William Moore, and Mr. Dan C.A. Smith. In 1958 John M. and Hazel Van Horn were residents. In 1961 William H. and Margaret Roth lived in the home. In 1983 Mr. Roth sold the home to Stephen and Kathryn Zilch Weed. The Weeds began the process of renovating the home. In 2001 the home was sold to Teresa Goodrich. She obtained a Certificate of Appropriateness for modification of the windows on the front elevation, the removal of siding to expose the original surface to reopen the veranda, and to make a room addition to the rear of the home. In 2002 this home received two other certificates for the addition of a pediment on the southwest corner of the house, a change of stairs from brick to wood and the modification of two windows. All of the modifications have been made in keeping with the original character of the home. 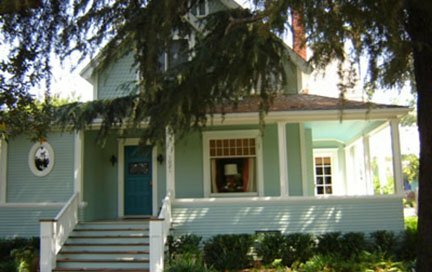 Terri Goodrich is to be commended for her outstanding stewardship of this classic example of Queen Anne Victorian architecture. Researched and written by Ron Running.